It's not easy to find a good toolmaker in China. The most important considerations will be project management & engineering capacity. The project manager will be the window between you and the tool maker, most of the Chinese young people should not only have no problem about the language, but also should know what he/she is doing & understand about each milestone in mold designing, mold manufacturing, mold modification and shipping stage, and could control the whole process. And the engineering capacity will be the main key, to ensure a smooth manufacturing process, less tool adjustment; from long term point of view, a good engineering should also consider from customer side, how to easy maintain & handle the tools after mold shipping. Having spent more than a decade looking for trusted tooling partners in China, I can say it can be quite challenging in finding a good Chinese tool maker. It partly depends upon your product niche. I spent most of my time in the Shenzhen area. I would stay away from the injection molding companies that are owned by a holding company from HK unless they have a strong commitment to the business other than simply a revenue generator. One of the biggest challenges we faced was because of the history in China, in many cases the middle level managers are where thing goes wrong. These managers have not typically been problems solvers. You will end up working with a younger gal in the marketing department because they know other languages better than others. When you make an agreement with this marketing person it is the middle level manager that needs to make sure these decisions are passed down the people on the floor doing the work. In other countries most tool shops are very small compared to China. It is easy to ensure communication flows properly in a 35-45 person organization. It is a different story when there are 4,500 employees in the company. 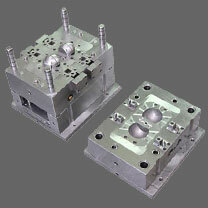 I have had times when we had very tight timelines and the plan from the mold maker there would change daily. Just when you thought everything was under control and here came an unexpected game changer. We have had great luck but I have visited probably at least 60 mold makers in my trips there and have 2 or 3 companies I can trust. So far, we are quite glad to say, Aco Mold is failed for all of 36sets injection molds, with side action, hard cavity & core steel, lead time within 6 weeks to 8 weeks range, including order, mold design, manufacturing, T1 sample submission, tool adjustment & air shipping to us.